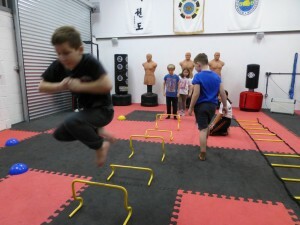 Empire Martial Arts & Boxing are proud to present a new sub division of non-contact fitness fun training for children to be offered under the name of Kiddi Kombat! 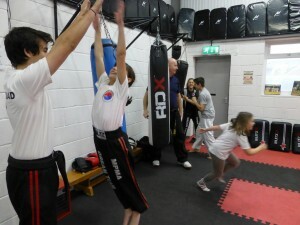 Kiddi Kombat will be a series of various different classes all aimed at providing non-contact fitness fun for children in a safe and friendly environment and will cover aspects from the disciplines of Boxing and various Martial Arts incorporating Self Defence. We will be starting with non-contact Junior Boxing as our first class and will be holding a couple of taster sessions for free, this way your children can come experience and get a feel for our bespoke training studio without any commitment. 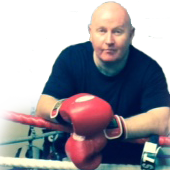 Our non-contact fitness fun workout program will cover aspects from the discipline of Boxing, which will burn some energy whilst having fun doing it, learning key elements like footwork and how to punch a bag correctly all the time helping to build confidence. Obviously, if your children have a fantastic time (we are positive that they will!) and they want to continue then please ensure you speak to us and book a place as spaces will be limited to just 10 per class. We will have two age categories at different times, starting with ages 5 to 7 (covering the school years 1 and 2) and then the second age group of 8+ (covering school year 3 and upwards). 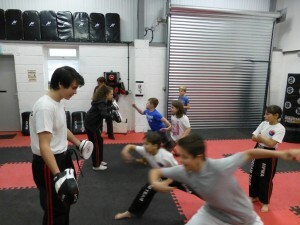 Classes will then commence every Tuesday at those same times for those ages groups detailed above. Besides the obvious health benefits of burning some energy and getting your children moving, this will also encourage team work, sportsmanship and discipline but most importantly of all it will also help with confidence. Everyone welcome, come and see us and maybe try something new!